Game Developers Conference 2010 organizers have opened registration for the March 9th-13th event, confirming Social Game and iPhone Summits and revealing newly reduced price options for event passes. Game Developers Conference organizers have announced that the call for submissions is open for the 2010 eventâ€™s suite of Summits, which take place on the first two days of GDC in San Francisco, March 9th-10th 2010. Game Developers Conference China 2009 organizers have announced almost 3,000 attendees in total for the Shanghai-based event, which ended on Tuesday, revealing plans to hold GDC China 2010 next December. The event ended on Tuesday, October 13, 2009 at the Shanghai International Convention Center. According to organizers, it brought together over 900 conference, media, and speaking attendees and over 2,000 expo attendees. 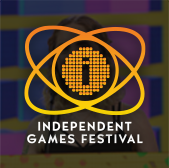 The Independent Games Festival (IGF) Mobile, the premiere venue that celebrates creativity and innovation on handheld platforms, has opened submissions for its third annual festival. Game Developers Conference China has announced its lineup of speakers from noted industry players including Blizzard Entertainment, Maxis, EA DICE and many more. Think Services, a division of United Business Media will present GDC China at the Shanghai Convention Center, October 11-13 of this year. So it's only September, and the main 2010 Game Developers Conference is being held from March 9th-13th, 2010. How much work can actually go into the conference this early, you might be asking? Well, those who noticed the Call For Papers that the GDC organizers already held, we get started pretty early with lecture submissions and grading. And that's a cue for me to boot up this column and explain what happens behind the velvet (iron? velcro?) curtain. I'll be updating regularly with the GDC Advisory Board's perspective over the next few weeks and months. One initial point that is worth making strongly. I know that in some conferences (both outside the game industry and in), the Advisory Board can take a much smaller role in actually directly picking the content. 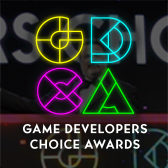 But one of the reasons that Game Developers Conference is so well respected, I believe, is that all of the talks are either empirically chosen from submissions, or carefully and specifically invited by the official GDC Advisory Board. The GDC organizers don't pick your talk -- key members of your own peer group pick your talk. GDC China organizers have announced that Prince Of Persia franchise creator, game designer, and screenwriter Jordan Mechner will deliver a keynote address at the 2009 Game Developers Conference China in Shanghai next month. 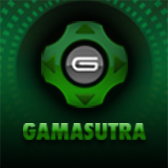 The organizers of GDC Austin 2009 have announced a partnership with the Austin Museum of Digital Art to show two notable video game-related documentaries at the Alamo Drafthouse Cinema during next week's Game Developers Conference in Austin -- one of them a U.S. cinema premiere. The Game Developers Conference Austin (GDC Austin) features lectures, panels and roundtables for developers looking to release successful titles in the burgeoning connected gaming space, and this year's conference has added final sessions from notable game developers at Nexon, Bioware Austin, 2D Boy, Zynga, CCP Games and many others. Think Services, organizer of the Game Developers Conference (also parent of Gamasutra), has announced its advisory board for the October 11th-13th GDC China event in Shanghai. Organizers of the newly announced IGF China event, intended to expose Asia-Pacific indie game innovation, have announced judges for the satellite event taking place in Shanghai this October. 2009 GDC Austin organizers have announced its final keynote, with Playfish co-founder Sebastien de Halleux (Pet Society) talking about Facebook and social network gaming at the September 15th-18th conference. 2009 GDC Europe organizers announced that the three day pre-GamesCom event in Cologne saw nearly 1,500 game professional attendees, with the event's return confirmed for August 16-18, 2010. Due to popular demand, GDC organizers have extended the call for submissions for next March's 2010 Game Developers Conference in San Francisco, the pre-eminent game creation conference, to next Tuesday, August 18th, for those game developers and businesspeople wanting to submit simple abstracts. 2009 GDC Austin organizers have announced a raft of new lectures as the August 13th early registration deadline nears, with Metaplace's Raph Koster and Zynga's Brandon Barber joining keynotes from Blizzard and SOE at the September 15th-18th conference.